When consulted at the concept phase of a project, EHC combines years of experience in SMALL PARTS MANUFACTURING and the latest technologies needed to establish a program to meet your criteria from design to manufacturing to logistics. EHC facilities employ the LATEST in manufacturing methods and state-of-the-art equipment to fulfill a wide variety of customer requirements. EHC’s plastic molding capability and capacity is virtually unlimited, with machines ranging from 50 to 3,000 tons. EHC has expertise in general-purpose resins, engineered thermoplastics thermoplastic and engineered resins, and thermoset compression and injection molding. EHC designs and builds solutions its clients need to stay competitive in today’s global marketplace. Painting/Marking/Decorative Options Laser marking, pad printing, hot stamping, silk screening, engraving, spray painting. EHC has the ability to cast a wide range of alloys including aluminum, zinc, and OTHER special die-casting alloy’s. Secondary Operations: We provide CNC machining and full secondary operation with drilling, tapping, sanding, and related operations. 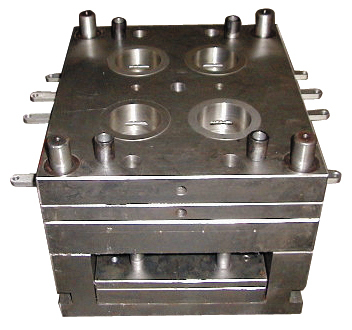 We are able to provide strong, high-quality, cost-efficient castings. EHC’s sheet metal stamping services focus on innovative industrial design, precise engineering, integrated tooling solutions, and cost-effective manufacturing. To provide that end-to-end service, we offer progressive die presses ranging from 20 to 800 tons to satisfy all your stamping needs. Our capabilities include automated bending centers, precision laser cutting and powder-coating EHC also uses conventional wet spray or pre-painted materials as well as batch processing, pad printing, and silk screening. We also provide in-die tapping and in-tool assembly capabilities that reduce your costs and increase throughput. Computer Numerical Controlled Machining allows EHC to mass-produce items so that you can satisfy all your customers’ needs on time. We also efficiently produce high-quality, close-tolerance parts in a variety of materials. EHC’s light assembly service can help you cut costs in your supply and manufacturing chain and give you greater flexibility, reducing overhead caused by high levels of inventory. As you grow and change, we understand the need to concentrate on future business and new projects.